It's not often that a road has a hydroperiod. Let alone a paved one. 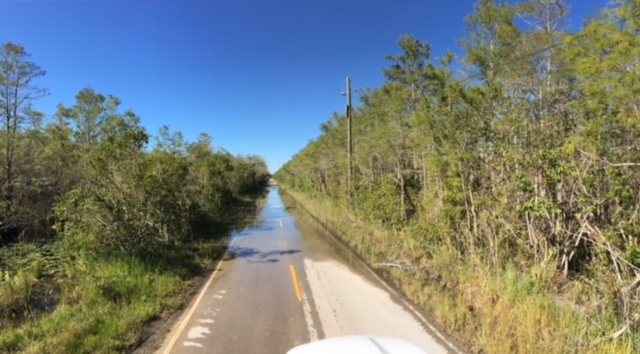 Water overtopped Loop Road (east of Pinecrest) for over 5 months. That sets a new "all time" record for the swamp (i.e. road)!